At some point in our lives, we’ll all face depression. Losing a job, money troubles, illness, the death of a loved one, or even that all-too-common feeling of personal stagnation, can weigh down even the most optimistic of us. It’s nothing to be ashamed of — depression happens for a reason — but it’s also a terrible place to find yourself emotionally stuck. 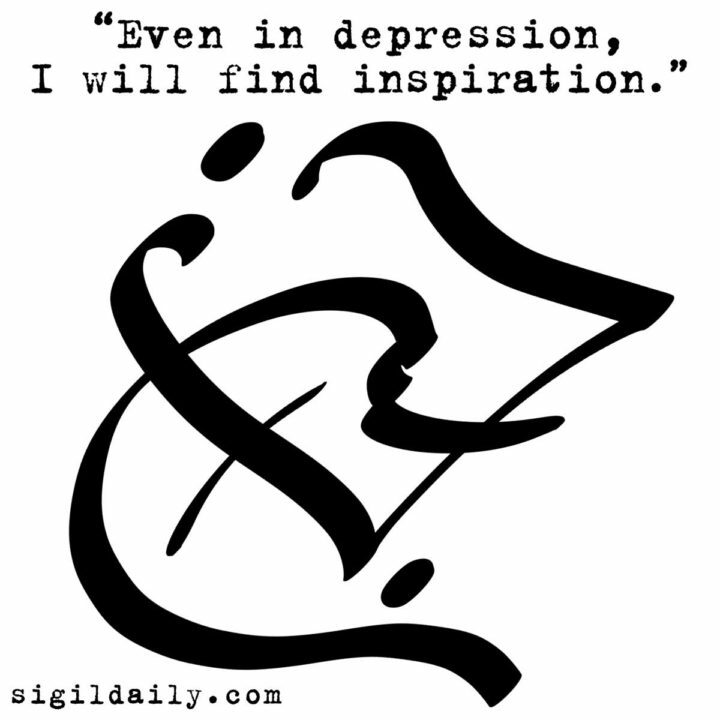 This sigil doesn’t aim to cure depression. It simply states that depression won’t define you, limit you, or keep you from experiencing inspiration in all its forms. If you need help, find it. Ask for it. Seek it out. Demand it. Every one of us deserves at least that much.